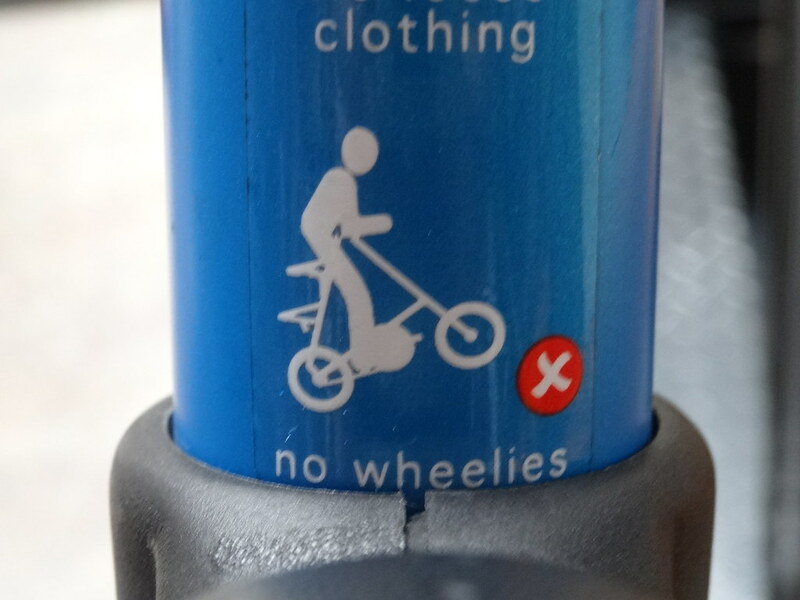 looking for an easy detachable sticker to verify a fake Strida seems a bit naive, don't you think so? There is actually such a sticker at each Strida, it is usually attached at the seat tube, close to the upper ball joint. I'd look at the bottom tube's underside, close to the rear hinge - here should be the frame number, which fakes normally do not have. There are also several other signs of a fake; strange brake calipers for example, rippled frame tubes and even parts without function. We are calling these bikes SLO's - Strida like objects - and you can find much more info by using the forum search with that terms. Perhaps you could upload pics of that specific bike, or do you have links to the offer?